As a family run hotel the Annebrook prides itself on quality and high standards of customer service, working as part of one team to assure all guests of our best and personal attention at all times. 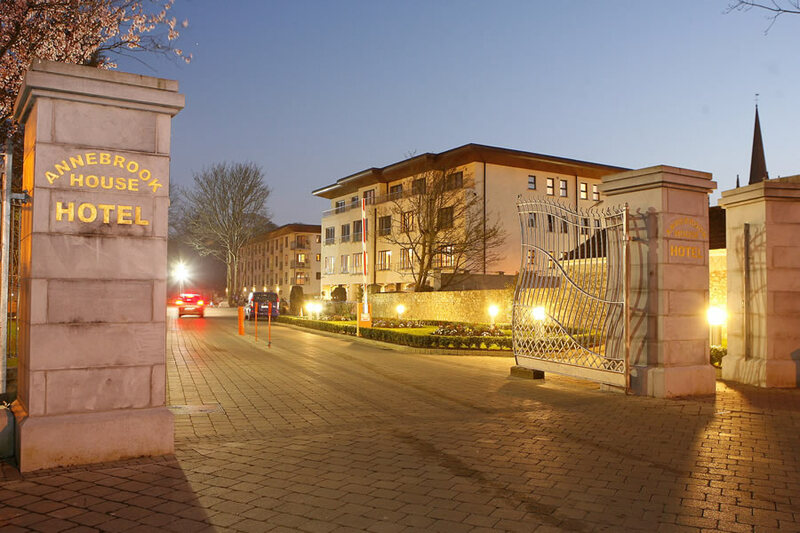 Annebrook House Hotel Mullingar is steeped in history and enjoys the enviable advantage of being one of the most centrally locatedin Mullingar. The hotel is on Austin Friar Street in the center of Mullingar. Westmeath is a county of remarkable beauty and diversity. Situated in the heart of Ireland, it stretches from the Shannon's Lough Ree in the West to the shores of Lough Sheelin in the North East and to Kinnegad and the Royal Canal in the South. It has an area of 710 square miles and a population of 62,000. The county boasts one of Ireland's largest castles. Tullynally Castle, located in Castle Pollard and dating from the 17th century, is a huge structure adorned with numerous turrets and battlements. wonderful Hotel ,we will stay there again..
My Husband and I stayed in this lovely hotel for two nights 26 / 27th December 2016. We had a lovely time and were well looked after. The only complaint We had was the noise of the music on the 27th was very loud and it took us awhile to get asleep. Other than that We had a great stay and would return to this hotel again. Great Value. Stayed here on a Monday night , have to say it was excellent from start to finish. Early check in was no trouble and we received a warm welcome from lady on desk, room was lovely very comfortable, dinner was delicious and nothing was too much trouble for our attentive waitress, breakfast next morning was fresh, hot and plentiful. Thanks to all for a lovely stay and looking forward to next time. The staff in the Annebrook House Hotel were very nice and helpful and the location is great, but there were improvements needed to the overall experience. Firstly, my 92 year old mother was with us and the step in bath/shower in her bathroom was not suitable. The attached apartments had a more suitable shower but they were a long distance from the reception. The mattress in our room was very poor quality and not the usual standard for a 4 star hotel. The food was not good in the Bar and the breakfast dishes were filthy. There was crud on the stainless steel banister going down into the Restaurant. I would not agree with it's star rating..definitely not a 4 star. I would not recommend the hotel to any of my friends. We were a group of 6 adults and 4 children. I was pleasantly surprised to find that we were allocated an apartment within the hotel when we arrived. It was very spacious and suited our needs. I really enjoyed the Old House Bar, it was very cosy. We had dinner in Bertys Bar which was included in the package. This was my only disappointing part of the night. The starters arrived promptly but we had to wait about 40 mins for the main course. We had some friends with us who got their main course and finished before we got ours. Nevertheless, i would recommend this Hotel and will return again. Hotel is nicely located in Mullingar, you can leave the car in the free car park at the hotel and shop in the town. Hotel- very quiet location. We were in a room overlooking the town park. Very friendly staff. Room was spacious with tea/coffee making facility. Bathroom was luxurious, mirror and floor heating came on with the light. Bed was soft and comfortable. Food was in the bar- about average in quality for the dinner. Breakfast in the restaurant was top quality. Stayed on night on bed, breakfast and two course plus tea/coffee. Very comfortable and well maintained room. Dinner in the bar was enjoyable. You could add a bicycle rack to the car park. We had to lock our bikes to the railings, which was fine, but it would look better if there was a dedicated space for bikes. 5 Stars, this hotel is excellent and the staff could not have been friendlier or more helpful. We were upgraded to an two bedroom apartment as we were a family and this was the main reason we stayed as we have a 3 and half year old and the extra space and separate bedroom allowed us to have a few vino on the lovely balcony overlooking the bubbling river and fabulous playground and park. The food was fabulous we went for the breakfast and dinner plan and it was very nice. Would highly recommend to families with the swimming pool and playground across the road and Belvedere house and extensive gardens and lakes on your doorstep. It was a very last minute thing to stay, I must say the staff were very friendly. The food was amazing rooms very clean and spacious but would have preferred to have been in the main hotel rather in the apartment end of the hotel. We will return with the family. It's a lovely hotel and had everything needed for an overnight stay. Friendly, helpful and attentive staff. Breakfast was very good too. Would pay a return visit there. Free parking. we feel that the meals should be from the restaurant not bar, felt like 2nd class citizens by the manner in which it was said to us. Having said that, the food was lovely, and we both enjoyed it. The bed had while it was comfortable it was quite noisy. Our room was quite noisy also from the bar or function rooms. I did't inspect the room but from the chair i sat in I could see the back of the t.v. was covered in dust. Overall we enjoyed our stay and the little things I have mentioned can be easily rectified. I would recommend this hotel and use it again myself. Love the Annebrook have been there many times and can't fault it, lovely spacious 2bed apartments for families, food lovely and staff can't do enough, hotel is beside the park/plaground/public pool and is in central location. We'll be back again soon. Stayed with my friend and really enjoyed our stay. On arrival receptionist informed me of music in bar until 2 a.m. and very kindly moved us to the 3rd floor! !.We eat in bar and staff could not do enough for us,the food was excellent. Thank you all for very enjoyable stay. Booked a family room and got a 2-bed apartment. Very comfortable and furnished very nicely. Breakfast was good. Location is very central to town centre. Only suggestion I would have is to equip apartment with small extras like tea towels, washing-up liquid and dustpan/brush. Other than that, everything was perfect. We had a very enjoyable two night mid-week stay. The room was spacious and comfortable. Staff were friendly and courteous and the breakfast buffet was plentiful. We would recommend Annebrook House Hotel to friends and family. We were pleasantly surprised on arrival to find such a high standard of hotel in the center of town. The staff were friendly and helpful. we enjoyed our stay and would definitely stay here again. We stayed in the Annebrook during the weekend and quite enjoyed our stay. 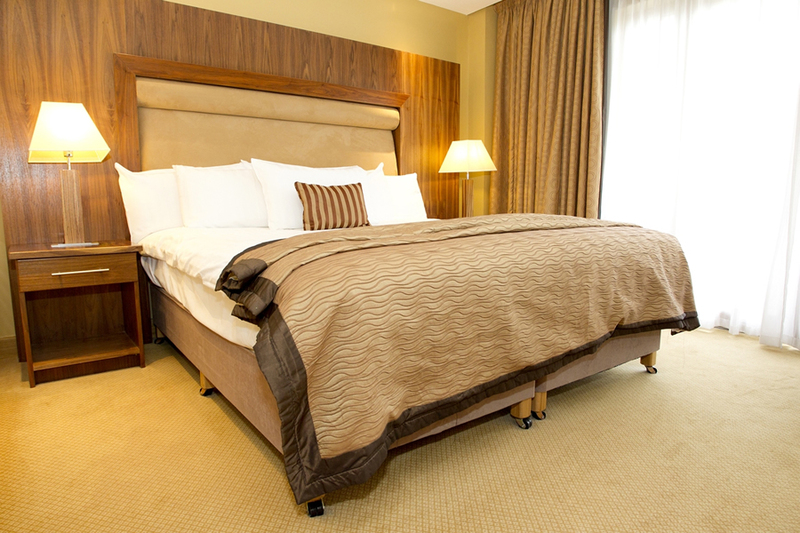 The room was very comfortable, food was excellent, friendly staff and the hotel is in the centre of Mullingar. However there was no complimentary mineral water & morning newspaper in our room. And also be prepared for horrible noise from function rooms so avoid during weekends. We really enjoyed our stay in the Annebrook, we attended a wedding and we found the staff very friendly, the food was magnificent and the rooms were very nicely furished, comfortable and clean. Ideally located in the centre of the town also. The only criticism is the layout of the rooms, we found it difficult to navigate around the hotel, but honestly that is being very particular. Def worth a visit. Room :Clean, warm and noise levels very high from fuction room, would not be my idea of a quiet break location. Breakfast: Unorganised no sitting for breakfast offered, no toast and no orange juice glasses available. Staff: Friendly. We had a lovely overnight stay in the Annebrook House Hotel. Everything about it was just to our satisfaction. The staff were really helpful and even offered us a better table in the dining room for our evening meal.Im sorry that I did not get the girls name who served us because she was so helpful and obliging. She gave us the feeling that nothing was too much trouble for her. The hotel is very well situated in the middle of Mullingar but we did not hear any traffic during the night. 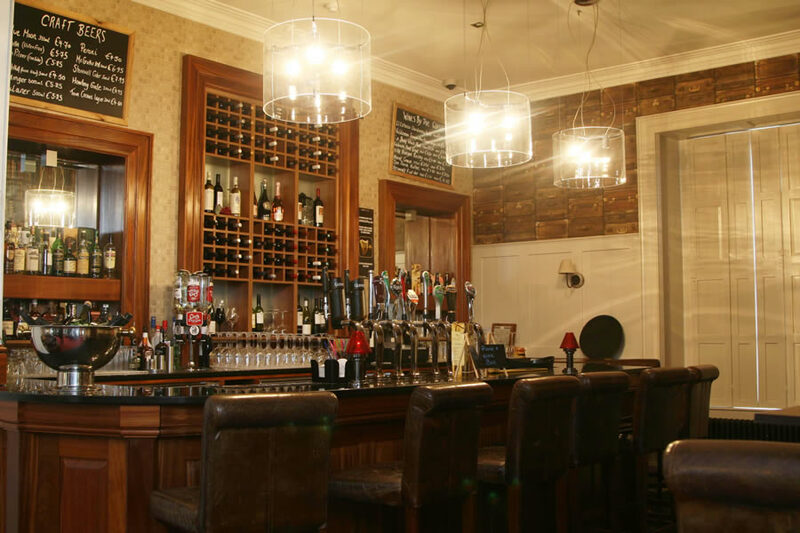 The rooms were very comfortable and the menu was very varied and the food was excellent. I hope to go back there again for a few more days. Room nice and spacious. Staff friendly. There was some problem with the water in shower where the cold pressure kept dropping out and water felt too hot so a worry about being scalded. Disappointed to discover that restaurant was not open Monday and Tuesday nights, especially during the week after Easter. Breakfast hot food was very greasy and brought out too soon. Very dissapointed with this hotel, left out room service tag on our door for breakfast the following morning and they never took it, no hot water in room, won't be returning to this hotel again. hotel was nice , staff were nice ,the only thing we did not like was when we checked in, the hotel was full the we were asked did we wanted an apartment or room we had booked a room not a appartment there was a ref made that we got the room from this site there was no problem when we got to our room it had a toilet and shower for disable person they did not inform us of this we would still have taken the room just thought because we did not pay as much as other people we were put into this room . Stayed at this hotel for a weekend break in January. Very nice clean room. Good breakfast choice and nice room. Had early bird on one evening, again very nice meal and good service. The complimentary breads and pesto were excellent. Will definitely stay there again. i had a very relaxing time, nice and peaceful break, for a monday/tuesday/wednesday. it was great. thanks to all the staff, and i hope to see you soon.